The fountain of youth has eluded people for thousands of years, but now scientists believe they’ve discovered a secret to living a longer healthier life: eating spicy foods. Researchers from the University of Vermont looked at data pertaining to 16,000 American men who participated in a National Health and Nutrition Examination Survey between 1988 and 1994. They found a lower death rate over the 19-year period for men who ate chili peppers. In fact, the death rate fell from 34% to just 22%. Published in the journal Plos One, the results suggest that the 13% lower risk of death may have something to do with the capsaicin found in peppers. Capsaicin has been used effectively for decades to treat arthritis and is also used as a painkiller. The findings matched similar ones from a 2015 study which linked spicy foods to a reduction in the risk of mortality by showing “a significant decrease in mortality associated with hot red chili pepper consumption.” Following 500,000 Chinese people for seven years, the study found those who ate spicy food at least three times a week cut their risk of dying by 14% compared with those who ate less or no spicy food. Of course, death will come to all of us eventually, but if eating spicy foods could extend your life by three years or five years, or even a decade, why not start eating more of it? And it’s not just an extended lifespan. Eating spicy foods offers other health benefits as well. 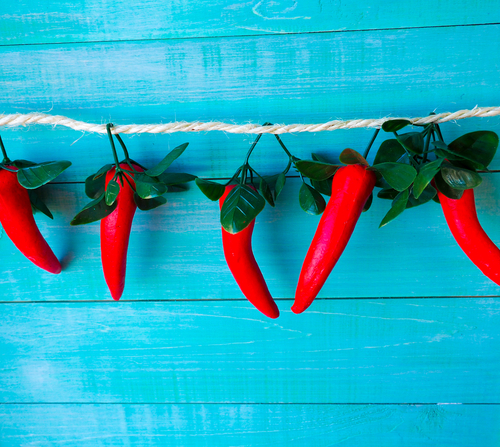 Spicy foods like chili peppers can help you lose weight in a couple of different ways. The extra spice can turn a bland meal into an exciting meal. You simply don’t have to load up on butter or mayonnaise or other high calorie condiments (BBQ sauce, ketchup) when you use spices. And, when your healthy food tastes better, you’re more apt to stick to your diet. In addition to added flavor, studies are finding the capsaicin has a thermogenic effect and may cause your body to burn more calories for 20 whole minutes after your meal. According to the American Association for Cancer Research, capsaicin has the ability to prohibit the growth of certain cancer cells and also kill leukemic cells. Paired with another spice, turmeric, found in curry powder and some mustards, capsaicin may slow the spread of cancer and growth of tumors. “It has the same effects on the body as certain cancer drugs do.” says Gregory A. Plotnikoff, M.D., senior consultant for health care innovation at Allina Hospitals and Clinics in Minnesota. Hot peppers and turmeric pair well with kebab, soups, and roasted vegetables. Other studies have found those cultures that eat the greatest amounts of spicy food have a far lower incidence of heart attack and stroke. Beyond capsaicin’s ability to lower inflammation throughout the body, chili peppers may reduce the damage caused by LDL – the bad kind of cholesterol. Did you know that spicy foods boost your body’s production of feel-good hormones such as serotonin? Perhaps that’s why so many people are attracted to spicy foods, even though they are kind of painful to eat. If you can stand the heat, upping your intake of spicy foods may help alleviate symptoms of depression and anxiety. Spicy foods such as chili peppers are loaded with vitamins A and C, both known to strengthen the walls of your heart. 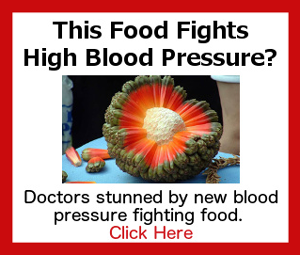 Plus, the capsaicin increases blood flow throughout your body. All of this adds up to a much healthier and stronger cardiovascular system and lower blood pressure. The thing about blood pressure is, sometimes diet alone isn’t enough to get those numbers down. Particularly when it is stress that got them up in the first place. But there is a way to naturally lower your blood pressure in as little as 10 – 15 minutes a day. Learn why the Mayo Clinic, the American Heart Association, and Johns Hopkins University, among others, all endorse Sonic Wave Relaxation Therapy, a simple and effective technique you can start using at home today. The best part is, Sonic Wave Therapy has not only been proven to quickly and naturally reverse hypertension, it also combats other unhealthy side effects of stress such as weight gain, strokes, and insomnia. For less than the cost of dinner and a movie, you can change your health for the better naturally and permanently. I enjoy spices and seasonings in food. Knowing that they are healthy is an added pleasure. I'm interested to acquire and implement the use of spices in new ways. I started reading and following your advise along with a few of your heart supplements eight months ago after recovery from a lower body injury my employer demanded a new DOT physical which I failed blood pressures where elevated 195 over 95 today March 7th 2017. Blood pressure 124over 55. Thank you your solutions really work!!! Wonderful !! !Incredible information on spicy foods!!! I have also discovered that spicy food or taking chili pepper clears odor in the mouth. Thank you for the benefits of eating spicy food. grt idea. I love spicy food. EATING HOT PEPPERS FOR THE REST OF MY LIFE . I HAVE COMPLETE MEDICAL EVERY YEAR MY DOCTOR SAY JEFF YOU ARE OVER WAIT BUT JUST DO WHAT YOU ARE DOING YOUR HEALTH IS IN PERFECT CONDITION IT IS A GUARANTEE WITH MY HEALTH UP TO NOW . THANK GOD HE HAVE THE BIGGEST PART OF MY LIFE AND GETS ALL THE GLORY FROM ME I LOVE MY LORD. I'M 82 YEARS YOUNG MAN AND I HAVE GREW UP ON SPICY FOOD ALL MY LIFE BACK IN MACEDONIA WE LOVE OUR PEPPERS. THE HOTTER THEY ARE THE BETTER THEY TASTE, I NEVER STOP EATING DISHES WITH OUT SPICY STAFF IN IT I WISH MY WIFE CAN DO THE SAME SHE CAN STAND THE BURN. THANK YOU FOR YOUR AD IS ALL TRUTH ABOUT SPICY FOOD GUARANTEE .